Former 8th round pick of the Bengals in 1975 and played special teams for Cincinnati as a rookie also recording one interception. 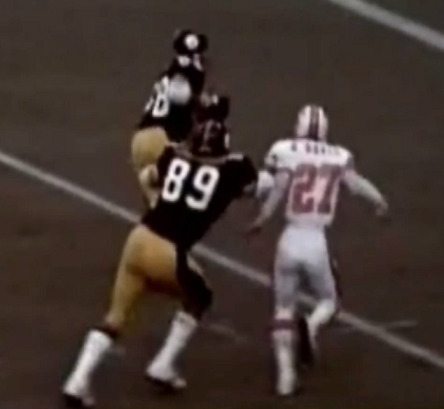 Came to the Bucs via the veteran allocation draft, played in 11 games during the 1976 expansion season and completed the most backward pass in franchise history, "gaining" -7 yards on a fake punt play that went disastrously wrong. Moved on to Kansas City having been released in camp by the Bucs and played 13 games for the Chiefs during the 1977 season.